Introducing: MALISEND + 1st Single Release | VKH Press – J-Rock & Visual Kei Coverage Worldwide! 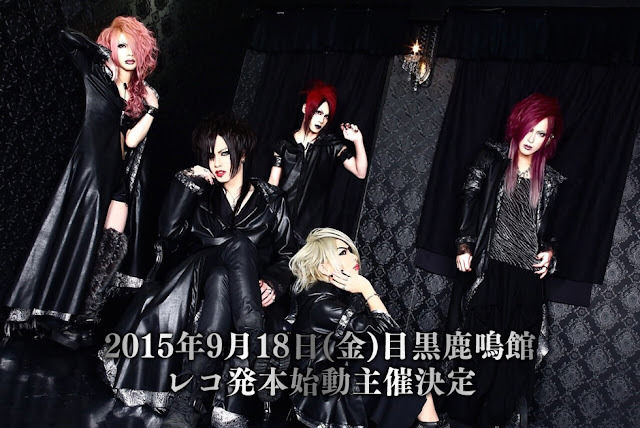 MALISEND is a new band starting their activities with their live on September 18th at EDGE Ikebukuro. Before, they are still having some performances in July and August too though. Moreover, they are going to release their very first single in September 2015! Unfortunately, there aren't more details at the moment. But in the meantime, why don't you check out some of the band's samples? It seems like no one of the members has an individual blog or twitter account. However, you can follow the band's official twitter and ameba instead!